The formation of the Chicago Police Department didn’t happen overnight. Even the very idea of police, the armed wing of the government, had to develop over time. Yet, it is instructive that the foundation of a local police department happened before Chicago was officially incorporated as a city. This city has, literally, never existed without the cops. We launch the Chicago Police & Militarization History timeline acknowledging this fact yet also knowing that safety beyond police also has a long history in our communities. The police have a legacy of targeting and attempting to control different populations in Chicago deemed undesirable. Communities have a legacy of resisting this injustice. We hope this project can build understanding of how colonization, social inequality, racism, militarism, and the violent yet bureaucratic churn of “law and order” connect. This intersection of political, economic, and cultural forces created and still justify the actions of the Chicago Police today. 1966 riot. From Humboldt Park Portal. 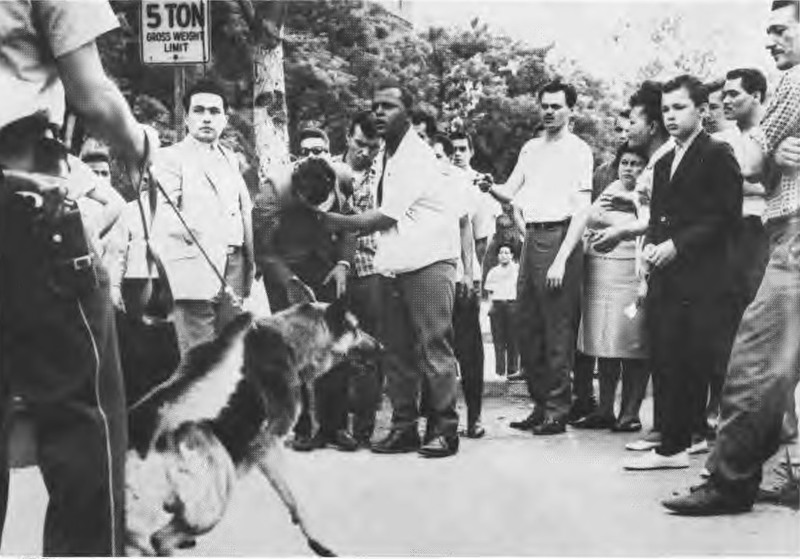 In early June of 1966 police shot a young Puerto Rican man named Cruz Arcelis. In response, the Division Street Riots in Humboldt Park occured. By June 15, 16 people were hospitalized after being brutally beaten by the cops and 49 were arrested. Simon Gomez wrote a song in the Jibaro style about the uprising called, “Los Motines de Chicago,” which was enormously popular. It was banned from being aired and sold in Chicago. The FBI actually removed it from record stores and threatened radio stations that intended to play it. Learn more about Chicago police history here.